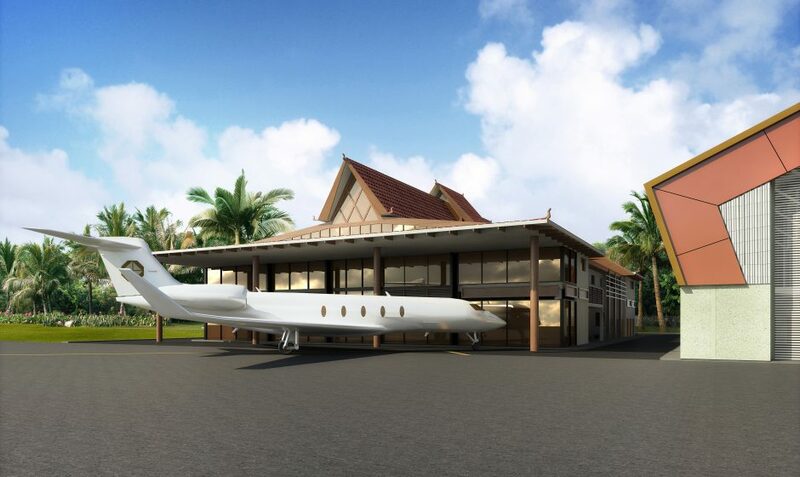 In association with Aircraft Support Industries, BJA designed a private terminal at Phnom Penh’s main airport to serve the arrival and departure of VIP travellers. 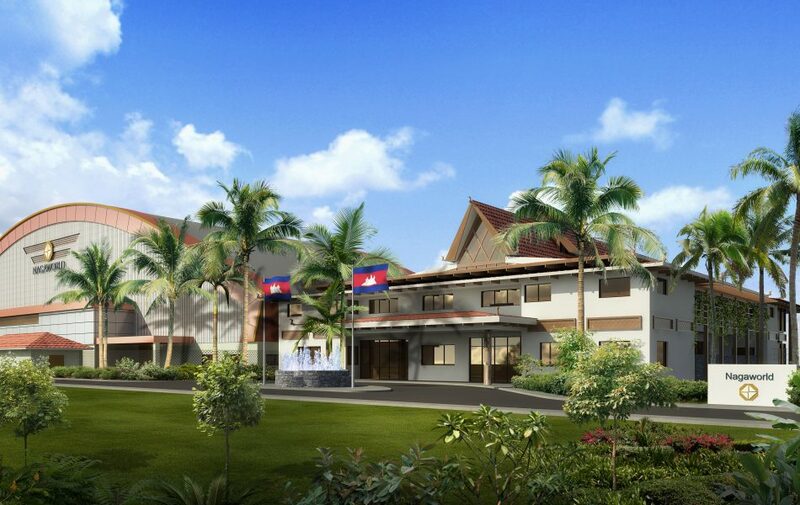 The brief was to provide a contemporary facility that at the same time referenced traditional Khmer architecture. 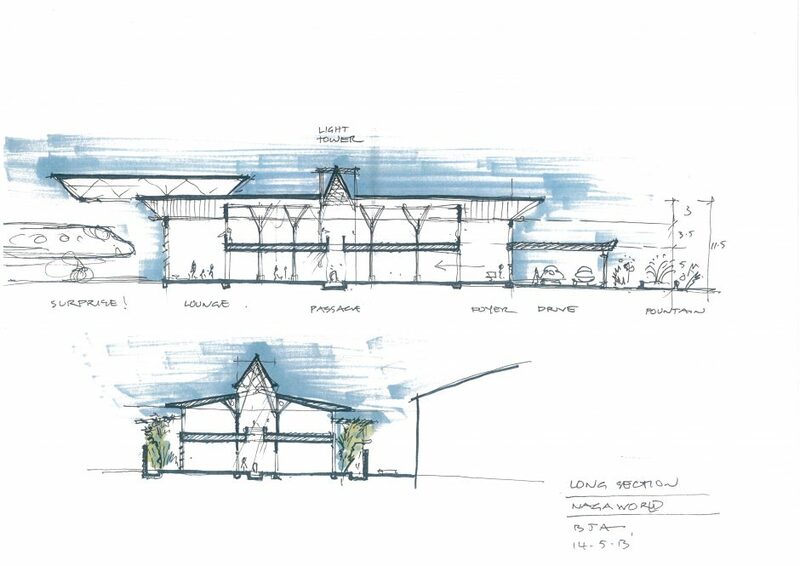 Initial ‘back of the envelope’ freehand sketches resonated with the client and were developed into well resolved plans. 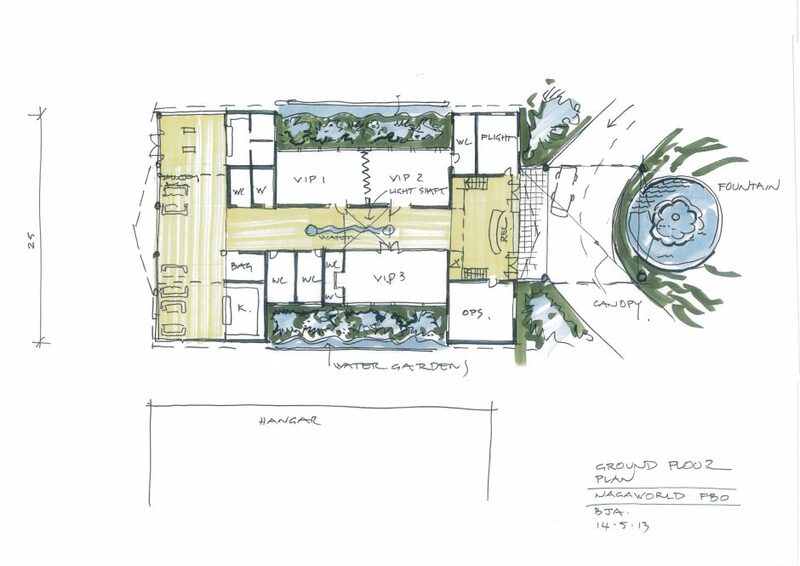 The design organised the complex planning needs within a traditional pattern language. Local architects were chosen to finalise and document the design, however the completed building remains similar to BJA’s design concept.